When Mu Chen's voice spreads to the horizon, experts of all sorts abruptly shrank their eyes as they looked at the mysterious and slender youth. Mu Chen's acceptance of the challenge was out of their expectations. However, anyone could see from the current situation that Ji Xuan was forcing Mu Chen to fight with him alone. With Mu Chen's cultivation at Spiritual Energy Disaster, he was on the weaker side. Perhaps Mu Chen had the means to compensate for that weakness. However, that could only be used on ordinary experts. Facing the monstrous Ji Xuan, he would understand how hard it was to compensate for the gap between them. Who dared to say that Ji Xuan did not have his own means as well? Xu Huang and the rest looked at Mu Chen with worry. Shen Cangsheng and Li Xuantong also exchanged looks with their brows furrowed. Clearly, they were not in favor of Mu Chen's fight with Ji Xuan. Earlier, when they confronted Ji Xuan, they understood very well what sort of horrifying strength that youth possessed. Wen Qingxuan took a glance at Mu Chen, her rosy lips quivered. However, her expression was heavy as she maintained her silence without a word. She knew that the current Ji Xuan could not be compared to all the other opponents that Mu Chen had encountered so far. "That fool." Wu Yingying could not help grinding her pearly-white teeth as she heavily stomped her feet. ", if he is a fool, then the amount of normal people could be numbered." Wu Ling laughed as he turned his head towards Wen Busheng, who was wearing a harmless smile that stood beside him, with a smile as he asked, "What is Brother Wen's view on this?" Wen Busheng originated from the Undefeated Spiritual Academy. Although the name of the Spirit Academy was extremely lavish, the reputation of the Spiritual Academy was extremely low. The strength of that Spiritual Academy was barely fulfilling the Great Spiritual Academy Tournament. But no one could have imagined that this youth from that particular Spiritual Academy could lead his team to Rank 8 in the point rankings. It was not an easy task to achieve such a feat as it was a qualification to partake in the finals. Thus, many teams had targeted their team, but not a single one had succeeded in their objective. The result made it clear that this team from a small-sized Spiritual Academy was the biggest black horse in this tournament. Hearing Wu Ling's words, Wen Busheng's harmless smile that hung on his face slightly froze as he replied, "Ji Xuan is very formidable." As he spoke, he made a pause before continuing his words, "However, Mu Chen… is very hard to deal with. Despite the fact that he only possesses the cultivation of Spiritual Energy Disaster, I could feel that the danger coming from him is not any weaker compared to Ji Xuan." "This confrontation… will be very interesting. But the outcome would have to depend on Mu Chen's performance." Hearing his evaluation, Wu Ling smiled as he lightly nodded his head. He focused his attention onto that area as he mumbled, "This will be very interesting…"
Under the countless gazes of all sorts, Mu Chen slowly moved forth. Ji Xuan was looking at Mu Chen with both of his eyes narrowed from smiling as his gaze flickered, "You are truly extraordinary to have made it this far with your cultivation of Spiritual Energy Disaster." Mu Chen was also staring back at Ji Xuan. However, he did not speak a word as he flew up into the horizon with a stomp of his feet, standing in the sky. Clenching his fist, black-colored lightning surged out of his body, bring along the roaring of thunder. "Let's go, I will take a look at how much you have improved all these years." Mu Chen said as he slowly extended his palm out. Ji Xuan smiled in response without any warmth. In the next instant, everyone could clearly see torrential Spiritual Energy sweeping out of his body. Majestic and powerful Spiritual Energy swept out like the ocean, bring along rumbling sounds. Spiritual Energy pressure also spread out as it engulfed the horizon. Everyone's faces slightly changed at the Spiritual Energy pressure as it made their bodies feel heavier. The Spiritual Energy cultivation that was displayed by Ji Xuan was at Second Grade Spirit Disaster. However, he clearly already possessed the qualification to attempt to break through the Third Grade Spirit Disaster. Thus, ordinary Second Grade Spirit Disasters were not his opponents. Someone could not restrain themselves from muttering in a soft voice. In the current Great Spiritual Academy Tournament, those with Second Grade Spirit Disaster were the top tiers. However, the current Ji Xuan that stood before them had already surpassed that level and would come in contact with Third Grade Spirit Disaster very soon. The moment he made a breakthrough to the Third Grade Spirit Disaster, the last step that countless people have yearned for would be right before him, the Sovereign Realm! Mu Chen stared at Ji Xuan, who had powerful Spiritual Energy circulates around him. However, there wasn't any astonishment displayed on his face as it wasn't surprising for Ji Xuan to possess such strength with his talent. The lightning around Mu Chen became increasingly dense as lightning gathered at his chest, slowly forming into six lightning runes. In that instant, the entire sky turned dark as it seemed as if lightning bolts were swimming about in the sky. As the black lightning traveled across Mu Chen's body, he also emitted powerful strength that could flatten a mountain range. Mu Chen stood in the sky, the Spiritual Energy around him wasn't as powerful when compared to Ji Xuan, but the veins underneath his skin were wiggled as if they were worms. His physical body quietly jolted as the energy ripples exploded the space around him. "He actually managed to cultivate his physical body to such a degree…"
Hovering on the sky far away, Liu Qingyun looked at the ripples of energy around Mu Chen as a flash of astonishment flickered in his eyes. His gaze was even heavier as he stared at Mu Chen. Before achieving the Sovereign Realm, it was extremely hard to cultivate the physical body. It was much harder compared to cultivating Spiritual Energy. Thus, it was the reason why not that many people paid so much time to cultivate their physical body before achieving the Sovereign Realm. "I wonder if your physical body can withstand the impact of my Spiritual Energy?" Ji Xuan faintly smiled as he stared at Mu Chen. "We'll know after we try." Mu Chen extended his palm as he made a provoking gesture. Ji Xuan's mouth curled into a cold arc as his gaze turned colder. No one saw him moving, but the torrential Spiritual Energy swept forth like an ocean. Spiritual Energy attacks amounting to a dozen shot forth with astonishing speed at the size of roughly a thousand feet. With a flash, it had already arrived above Mu Chen. Ji Xuan clenched his fist as the dozen Spiritual Energy attacks combined together, forming into a Sacred Light Wheel that measured up to a thousand feet above Mu Chen. As the light wheel spun, it turned into a light as it flew down with some rustling sounds coming from it. Ji Xuan was clearly vicious with his means as he did not show any signs of movement to hint his attack. Lightning exploded on the surface of Mu Chen's body. He clenched his fist as black lightning runes slowly extended onto his arm as he threw a fist out. The roars of lightning shook the horizon. A colossal black light flew from Mu Chen's fist as it roared, which resounded throughout the horizon, clashing against the light wheel. Black and white light tangled together up in the sky, before it dissolved, turning into a violent storm that swept out. As the storm swept out, Mu Chen's figure abruptly disappeared from his original location. Mu Chen's figure reappeared at the rear of Ji Xuan. 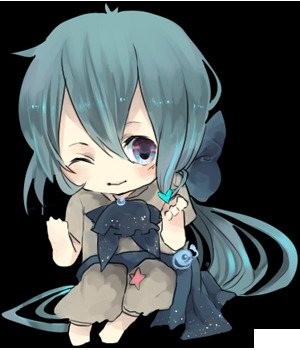 There wasn't any expression worn on his face as he quickly made that instantly made a starry sky form behind him. Mu Chen sent out images of beasts with his left hand, while his right sent out lightning. Two tyrannical attacks instantly engulfed Ji Xuan. Ji Xuan extended his hand as brilliant white light gathered, before turning into a huge shield. On the shield, it was filled with sacred runes that made it look impregnable. Mu Chen's tyrannical attack heavily clashed against the shield. However, he was not able to pierce through it, only able to make the light shield slightly shake. Ji Xuan's methods vastly outstripped all of his opponents in the past. Not only did he possess powerful Spiritual Energy, the technique in which he cultivated in was also not your ordinary stuff. His fighting strength was acclaimed as the peak of perfection. After withstanding Mu Chen's attack, Ji Xuan pushed his palm out as the gigantic Sacred Light's Hand appeared above Mu Chen as it slammed down, causing the nearby air to explode from the force. Another black lightning soared into the sky as it confronted the Sacred Light's Hand. The exchange of the two people was extremely fast. In just a dozen breath's time, they had already exchanged dozens of moves. Black light exploded as the sacred light dissipated, causing the entire horizon to be dark and distorted from the two horrifying attacks. Countless gazes filled with shock were directed towards the fierce exchange between the two, to the point that even a few experts that had broken through to Second Grade Spirit Disaster had the corner of their mouths twitching, since the exchange was simply too terrifying. During their exchange, Mu Chen was clearly taking more hits. However, with his powerful physical body, he managed to withstand it. Therefore, neither side was on the advantageous side in their fight. "There won't be any outcome if the two of them were to continue in such a manner," said Wu Ling as he watched the battle from afar. Wen Busheng lightly nodded his head. Shortly after, his eyes instantly shrunk as he slowly spoke, "So they must reveal some of their cards." When Wen Busheng spoke, white light abruptly gathered in the sky that looked like a blazing sun that was shone onto the land, along with fearsome Spiritual Energy ripples soaring into the sky. NineAnime is the best site to reading The Great Ruler The Great Ruler Chapter 581 free online. You can also go Novels Genres to read other novel or check Latest Releases for new releases.